If you are planning to launch a website or redesign your existing website for a change, you need to know that a good web design matters a lot in 2018. You need to pay attention to it. Web designing is a process of planning and developing more visually appealing websites that are easy to use with a good user interface, graphics, layout and have features that an ideal user wants. People usually think that web designing is all about how your website looks but it is more than that. A good web design helps your business look credible online and affects your entire online presence including SEO, branding, and conversions. Every business is different thus every business website needs to be different. If you want your website to have features, graphics and other stuff your ideal user will need then you would need to design your website accordingly. And that’s what web designing can do for you. It can help you achieve your specific business goals. A good web design can get you better ranking on search engines. That means web design affects SEO and this is no secret. Indirectly, A good web design can get you more traffic and once you have traffic. Guess what? A good web design can increase your leads. I will prove that shortly. But before that let’s see how web design is important for SEO. How web design affects SEO? Your design affects how search engines perceive your site and thus Optimizing your website for search engines begins with designing an SEO friendly website. A better web design would mean better optimization for search engines thus better rankings. Here is how your website design would affect SEO. 1. A good web design would include an easy navigation system and that would mean better usability of your website and guess what? Website usability is a Google ranking factor. Google only wanna show websites with good usability on the top of search results. 2. A good web design will include the planned and efficient use of images for SEO. A good web design will include images optimized for search engines i.e compressed images that loads fast and with alt text. 3. A good web design will make your website more shareable and followable with the correct use of social sharing buttons and follow links. A better-designed website would have these buttons ideally located as to boost sharing and following. And we know that social signals are used as a ranking factor. In short, your website design does affect SEO and thus you should get your website designed accordingly. If your website design will be SEO optimized, this would help you get better ranking in search engines and indirectly more traffic. But there is no mean of lots of website visitors if they don’t convert. Guess what? A good web design can get you more leads and better ranking as well. Here is how a perfect web design can get you more leads. Gaining credibility will indirectly mean gaining more conversions and leads. 1. As said earlier, Good web design with good layout and graphics will make your business look credible online. And that’s what you should aim for. Gaining credibility will indirectly mean gaining more conversions and leads. Your conversion rate depends on the credibility of your business. 2. A perfect web design would ensure your visitors can easily navigate on your site using links, CTA buttons, and search. This will allow users to easily navigate to different pages including service pages and sales funnel pages. A good web design will drive your audience to your conversion goal and this would mean more leads. 3. A good web design will make the best use of fonts and typography to retain user engagement. When your users will engage more with your site, they will convert more and this turn would mean, you will have more leads. A website that uses simple yet effective fonts convert more than websites with ugly fonts or fancy fonts. A good design would also make use of right font sizes as to capture readers attention. These all things will affect your user experience and your experience will affect your conversions and leads. 4. A good web design will have perfect landing pages that convert. Perfect landing pages would mean pages that show your business portfolio effectively and try to convert single time visitor into a subscriber. Good web design will make use of pop-ups, slide-ins and notification buttons to get your audience to enter into your sales funnel. This would increase your leads. 5. A well-designed website will load fast and this will give your users a good user experience. And The mood of your audience on your website will decide whether they will convert into a lead or not. 6. A well-designed website will be up to date: Noone would stay on a website that looks like a 2005 website. If your website looks old, this will increase your bounce rate. And you know bounce rate is inversely proportional to conversion rate. There are so many other things that should be a part of your website design as to boost leads. In short, web design affects your conversion and leads to a great extent. The bottom line is, your website should have a perfect web design as to rank faster on search engines and gain more leads. How do you get the perfect web design? In this 2018, content management systems like WordPress are trending. So you have two options for your website. 2. Getting your WordPress website designed by some quality yet affordable web design service provider like SEOLiquido.com. Let’s see what is best for your business? 1. 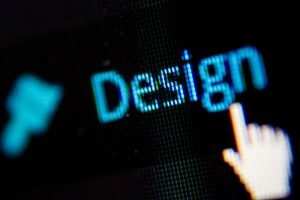 WordPress pre-built themes are less flexible: Getting your website custom designed is a better option because WordPress themes would not give you any options to add stuff and unique features you wanna add on your website. Unlike with custom designing your website, you can get your website look like you want. You can add whatever feature you want and other stuff you want in your website. 2. 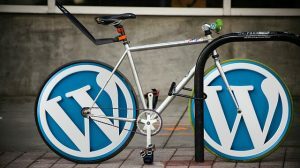 Custom websites are unique: WordPress themes are used by many other businesses. If you want your business website to look unique then going with custom designed websites is best. 3. Custom designed websites can get you more leads: A premium WordPress theme is well designed but not designed according to your specific business whereas a custom designed website is designed only and only for your business while taking your conversion goals into consideration. So a custom designed website will be designed in a way as to get more leads for your business. 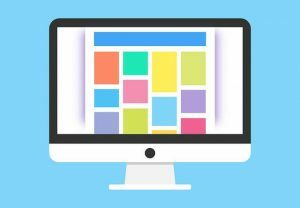 Where to get your website designed? If you are not a developer, you might feel that where should you get your website designed? Your website designed matters. You need a perfect web design for our business so choosing who will design your website is important. Getting your website designed by individuals on Flickr or freelancer is not a great option. You don’t know if that individual has business sense and SEO knowledge. He might be just a coding master nothing more than that. So getting your website designed by experts in a web design agency is the best option. But now you might think that it will be much costly. No, not always. When you choose the right company like SEOliquido.com for designing your website, where you get your website designed by experts at an affordable price. 1. Make sure that your web design company is affordable, not cheap: Cheap services are often of low quality so make sure your web design agency is not dirt cheap. Here at seoliquido, we provide quality web design services at the best price. 2. Make sure they listen to your ideas: You know your business more than anyone. You know how things work in your business and how people will convert into leads for your business. So share your ideas with your web designing agency as to get an ideal website for your specific business. But in many cases, companies don’t listen to their clients and build websites in the way they think to be best. But here at SEOliquido, we do take care of your ideas and mix them with our expert’s ideas. 3. Your web design company know SEO and conversion: In this article, I have explained to you how your web design affects your SEO and conversion. If still, you choose a company that does not know about conversion and SEO then this is a big mistake. Here at SEOliquido, we design websites that rank faster and converts more. 4. Take care of CMS: Make sure the company you choose to have CMS in mind while designing your websites. WordPress is trending and using WordPress is better than static HTML websites. But if your web designing company does not create websites with CMS in mind, this can create problems. We here at SEOLiquido, create WordPress website at the best price. Yes, SEOliquido.com provides high-quality web designing services at a low price. With SEOliquido, you can get a website that ranks faster on search engines and converts your more at an affordable price. And you always have the freedom to make your website look like you want. Thanks for reading and hope it helps.